Could you start off by talking about the background of how Tanner got to where he is today from your perspective, and the obviously huge role you and Darla played in that? Well he got started skiing when he was about two or three and even at that age he was just pumped full of energy. Darla loved to ski so she took him up and started him out in ski daycare and then put him into lessons&hellip;and he&rsquo;s much not much for lessons. So it wasn&rsquo;t long before he started taking off on his own and I think by the time he was four all the lift operators and ski patrol knew who he was (laughs). Not too long after that he tried the race program, and he was pretty good, but it wasn&rsquo;t he wanted. I remember one race he was coming down the gates just fine and then he shot off to the side about halfway through and hit a little jump, did a 360, landed it, and went right back into the gates and finished the race. After that the coach informed him that he probably didn&rsquo;t belong on the team (laughs). How old was he then? Oh maybe five or six. It was actually the pre-race team I suppose. But luckily enough then a fellow blew into town who was a mogul coach. Steve something or other, I can&rsquo;t recall his last name right now unfortunately. But he started up the Big Mountain freestyle team and Tanner went right to it and really enjoyed that. Especially in his first season of competition when Glen Plake happened to ski the event at Big Mountain and Tanner invited him over to the house for dinner, so I suppose that&rsquo;s when it really all started. So then he got real good at moguls and upright aerials and went to Junior National&rsquo;s a couple of times, and by 13 or 14 had decided that was what he wanted to do, no question about it, so we started looking for a school and came up with the Winter Sports School in Park City, Utah. So he went down there for moguls and did okay but he was already starting to lose his edge a little bit on that stuff, and one day he called me up and said, &lsquo;Dad&hellip;I&rsquo;m done.&rsquo; And I said, &lsquo;What do you mean you&rsquo;re done?&rsquo; And he said, &lsquo;Well, I&rsquo;m not going to be a mogul skier anymore, I&rsquo;m going to be a freeride skier.&rsquo; And the bottom line is that he and I didn&rsquo;t talk for six months after that. Yeah, it was hard. But finally with Darla&rsquo;s help we got back together and he said, &lsquo;Dad, all I&rsquo;m asking for is one year. You give me one year to show you can what I can do.&rsquo; So we talked about it over and over and considered all the pros and cons and decided that if we brought him home life would be hell for all three of us, so we said okay&hellip;and he took off right away and started winning, and never looked back. When did you first know that he was going to be something special in this sport? Was there a moment? I watched a little video clip that Eric Iberg had taken of Tanner while he was practicing for the Jim Moran benefit in Colorado. He did a misty but it wasn&rsquo;t just a misty, there was kind of an added twist in there. And from the reaction of the guy who was holding the camera and the guy he was talking to&hellip;that told me right then and there, he was a cut above. And he went on to win that event and he&rsquo;s just never slowed down from that point on. He&rsquo;d already done the US Open and got either fourth or sixth that year, I can&rsquo;t recall. And he told me all about all that and I had heard people saying what they were saying about him, calling him a real up-and-comer and all. But when I saw that video and heard the reaction of two people who knew the sport really well, that&rsquo;s when I knew. As you look back on his already long and illustrious career, what would you say your favorite moment has been? I actually have two. One was his very first X-Games when he had a shot to win it, and didn&rsquo;t do it, and when I saw the hurt and reaction from him, because I knew he wouldn&rsquo;t quit until he stood on top of that podium. And the second was his first dual with Simon at the X-Games when he (Tanner) won it. So now that he&rsquo;s changing up what he&rsquo;s doing a bit with going out into the backcountry and really being at the forefront of the movement to take skiing in a new direction, what do you look forward to most from him over the next couple of years? Well I still want to watch him compete. But I just want to see him get his due. And I think that the biggest thing to me is that this sport end up in the Olympics before he&rsquo;s too old to compete. And you know, that&rsquo;s been his goal from day one, to win an Olympic gold medal, and that hasn&rsquo;t changed. But as far as I can tell now his only shot is going to be 2014, and it just has to be in there by then. Do you think he&rsquo;ll still be able to do it in 2014? Jeff, let me tell you, until this year Tanner was a spindle. He was fairly well refined physically but he was skinny. And I just spent last weekend down in Park City with him and he has hit the training so hard. He&rsquo;s a different person physically. He&rsquo;s got shoulders that are broad and you can see the power development in him physically, I mean he&rsquo;s got to be twice as strong as he&rsquo;s ever been in the past. You know, someone really needs to explain to me how in the world snowboarding can be there and skiing not be. There is no logical explanation in the world for why they picked a non-spectator sport like skiercross and put that in the Olympics ahead of these guys. I mean maybe halfpipe skiing at the top isn&rsquo;t as deep as snowboarding, but the top 10 or 15 skiers can do anything those snowboarders can do. And I think this next season skiers are going to blow snowboarders away in the pipe, I really do. If it were to happen, whether it be as early as 2010 or we have to wait until 2014, how much would it mean to you and Darla to see him win that gold medal? A lot. Not for us though, but for Tanner. Because he&rsquo;s worked so hard at this, he&rsquo;s been relentless, he&rsquo;s gone through his injury and he&rsquo;s never lost sight of that goal, that Olympic gold medal. And even if he didn&rsquo;t win the gold it would be okay with me because the fact that he finally got to compete in the Olympics would be huge. I think he deserves it, and all those kids deserve the opportunity. So I really think the USOC (the United States Olympic Committee), who Tanner has met with twice on this issue and had them turn their backs on him, is being ridiculous, and I for the life of me just can&rsquo;t understand why. I mean what do you say? Freeride skiing is the only sector of skiing that&rsquo;s growing right now, and it&rsquo;s growing in leaps and bounds. So for those old farts to not embrace that, it&rsquo;s nothing short of criminal to me. You&rsquo;re a skier yourself right? Well, I was, but I was never very good at it (laughs). When I was growing up playing football, basketball and baseball I&rsquo;d have been shot if I went skiing. They didn&rsquo;t allow it at all. So I think I was in my 30&rsquo;s when I first tried skiing. And then when Tanner got going I started skiing more and I enjoyed it and got good enough to get from the top to the bottom without stopping. Darla on the other hand is a great skier and has been skiing all her life. So being a skier and obviously having a great awareness of what&rsquo;s going on in the sport via Tanner, on the heels of the Olympic subject and how much skiing is growing, what are your thoughts on the sport right now and how things are going? Well I&rsquo;m not sure I can answer that as effectively as others, but just watching the growth of Armada skis tells me what kind of impact these kids are having on skiing as a whole. They are definitely changing the guard so to speak. And if I can go back to the Olympics for a bit, I think that&rsquo;s what bothers those people more than anything. 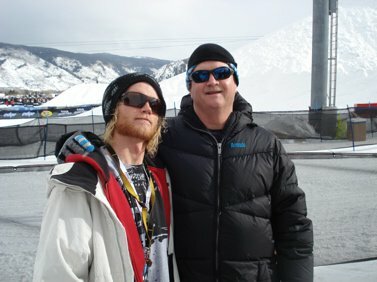 They view freeride skiing as a threat to their alpine program, which is really too bad, because they shouldn&rsquo;t.
So while Tanner was growing up, occasionally there was controversy surrounding him over the years, or one could say the older and more mainstream ski media helped create it for him. So with that being said, throughout his career, were there any moments when you wished he&rsquo;d done something differently, or had been treated differently by said media? Well, obviously Vail was not very fun (when Tanner and a few other athletes spent the night in jail after a US Open afterparty in 2005). 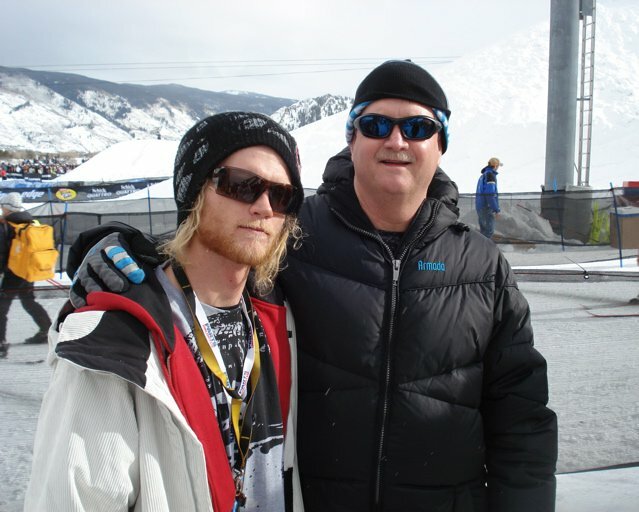 We were at the X-Games the following week and I watched a reporter from the Denver Post interview Tanner and he kept asking the same question over and over in different ways, until he finally got Tanner upset enough to the point where he gave him the answer he wanted apparently. So he took that quote and it didn&rsquo;t paint Tanner in a good light, and if I&rsquo;m not mistaken, he called Tanner bipolar in his article. So that definitely showed me a different side of the media. And you know I&rsquo;ve always been hard on these big time athletes who come across as arrogant or just plain rotten in the media but then always said, &lsquo;That&rsquo;s not me, that&rsquo;s just how the media is portraying me.&rsquo; But after watching that incident with Tanner I have a lot more empathy for those athletes because I saw it first hand, and that guy from the Denver Post was nothing but a jerk. To be able to get the words out of Tanner&rsquo;s mouth so he could print what he wanted to print. He didn&rsquo;t even care about the real story, and I was very, very upset. But unfortunately there wasn&rsquo;t much I could do about it, and the reality is that a lot of that comes with the fame. But all in all, I&rsquo;m thrilled for my son. You must be indescribably proud. Oh absolutely. I mean how many parents, even though it&rsquo;s not a big money sport, how many parents wouldn&rsquo;t be thrilled for their kid to be the best? His passion for it and this whole new thing he&rsquo;s got going on with training in the gym and on the tramps day after day and seeing the physical change in him at 24, when he&rsquo;s one of the oldest guys in the sport, is amazing. It sounds so funny to say he&rsquo;s one of the oldest guys in the sport at 24. Yeah, and really he isn&rsquo;t, but I guess in the competition world he&rsquo;s a little long in the tooth. But the kids better not think he&rsquo;s going to go away anytime soon because he hasn&rsquo;t filled himself up, he&rsquo;s still got that appetite. What do you think is next for him? I think he&rsquo;s going to be back at the X-Games and he&rsquo;s going to be a force. I really think he&rsquo;s going to go back there and win again and again, because he&rsquo;s on a mission. I&rsquo;m not going to tell you what he&rsquo;s already planning to do next year, but if he does three quarters of the routine he&rsquo;s planning he&rsquo;ll be doing something that nobody on skis or snowboard has ever done in a pipe. Anything you&rsquo;d like to say to all the kids out there who are such huge fans of Tanner and are so inspired by him? Keep the passion. Don&rsquo;t ever let that fire go out. And what about to any parents who will read this who&rsquo;s kids would love nothing more in the world than to follow in your son&rsquo;s footsteps? Tanner and some of the other guys are paving the way for generations and generations to enjoy this sport. And I hope the parents out there can understand that and see it and give their kids the freedom to challenge themselves.